State College, playfully nicknamed Happy Valley, is located in the center of the state. 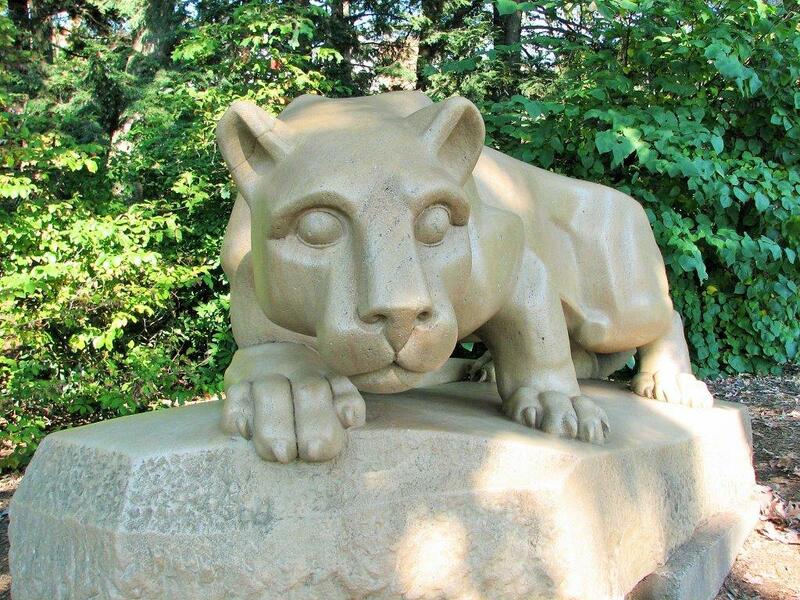 We are home to Penn State and the Nittany Lions. Whether it be Spring, Summer, Fall, or Winter you can always find something to do. You can enjoy one of our many golf courses, enjoy a hot summer day at one of our three public pools, or spend the day shopping downtown. Enjoy lunch at Baby’s, The Deli, or The Corner Room, three places that have been in State College for well over 20 years. Don’t forget to end your day with some ice cream from the world famous Creamery or the also very popular Meyers Dairy. Make room in your schedule for Arts Fest which goes on every July. When football season rolls around you can spend your time tailgating at Beaver Stadium and catching up with friends. Let’s not forget all of the concerts and sporting events that you could attend at the Bryce Jordan Center. Ring in the New Year by taking your family downtown for First Night where there is tons of activities and ice sculptures for you to enjoy. Like to ski? You don’t have to go very far. Tussey Mountain Resort is well known for its slopes. State College isn’t just fun and games either. There are a lot of hard working people in the community. We have tons of volunteersthat help with our numerous charities from Thon that raises money for Four Diamonds, to the annual Trash to Treasure Sale, and let’s not forget the annual AAUW used book sale which is one of the largest books sales on the east coast. Our Alpha Fire Department is one of the largest volunteer fire companies in the state. It is also an exciting time to be a high school student in the State College School District. We are in the process of building a brand new school for our students.State College is a wonderful family oriented community and would be a great place to call home.